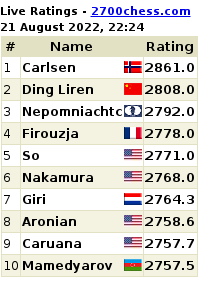 The World Champion will play the white pieces. The World will have 5 minutes to vote on their move choice. Anand will also have 5 minutes to make his move; however, he may be alloted more time if he is unable to make his way around the "Live Simul" in time. Metropolitan Chess, Inc will have a relayer at the board dedicated solely to monitoring the game, and relaying the World's voted chess move. 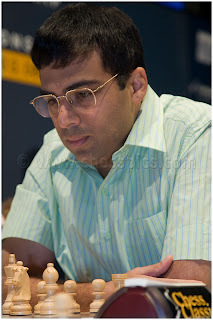 Grandmaster Viswanathan Anand will join a prestigious list of previous Vote Chess match players on Chess.com -- though he is by far the most prominent chess figure (and strongest player) to ever compete in a Chess.com Vote Chess game, as well as the first World Champion. 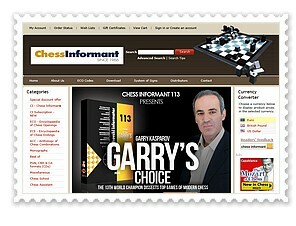 This format of the event, ie a Vote Chess Match played by the World Champion vs the World in a "Simul setting" is also the first of its kind. IM Daniel Rensch will cover the entire match live on Chess.com/TV along with other special guests. It's also possible that some of the other "more interesting" games from Anand's Simul in L.A. will be relayed to Chess.com's Live Play Server for members to observe during the match.